We develop, manufacture and distribute a wide range of specialist cleaning wipes worldwide under our hugely successful BIG WIPES™ brand. Wipes are our sole focus and hence we are able to invest time and money in developing the best products at competitive prices. As part of the Sycamore Group of companies, Sycamore UK Ltd has direct access to the R&D and manufacturing facilities of the Group, which is unique in its ability to produce specialist cleansing wipes across all sectors including trade, industrial, DIY, office, janitorial, automotive, cosmetic and household. Sycamore UK Ltd has taken these specialist formulas and packaged them under the BIG WIPES™ brand to create a broad range of high impact, antibacterial industrial cleaning products supported by modular POS for maximum in-store flexibility. 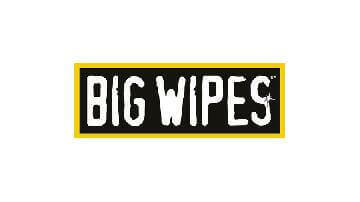 We now operate on a global scale with the Big Wipes brand available internationally from Europe to the Americas, the Far East and Australasia. Every product we supply is best in class, offering genuine and obvious benefits versus the competition. Our quality control has resulted in virtually zero product returns – we know we have many delighted customers who rely on us to consistently deliver great performing products that comply with the latest safety standards and, wherever possible, respect the environment with biodegradable formulas and a choice of biodegradable fabrics. 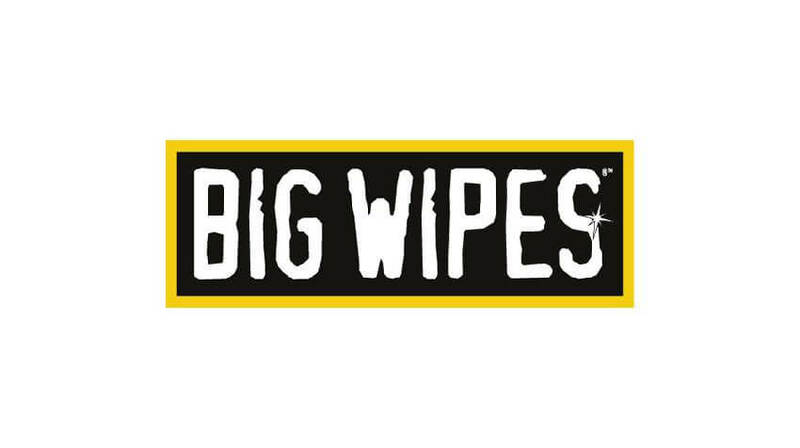 Check out our products section for our internationally available range of BIG WIPES™ branded products, designed for maximum cleaning capability with an impressive list of applications. Always have a tub of these on the van, we end up cleaning everything with them. They cut through all grease. Can’t get my head around just how good these are. They wipe clear everything thrown at them. Cheap enough for you to be happy to use them day in day out. Really can’t recommend them highly enough. Cracking wipes for us dirty plumber we use when installing new taps showers ect for wiping down wipes and sinks leaving a great finish. From All the lads at www.Glencoplumbing.co.uk thanks for a great product. A quality product! BUT I feel the cost of this product is a lot higher than competitors and should be cheaper. Always have a tub on the van but use them sparingly because of the cost on this disposable product. Awesome wipes. A range for all situations. No need for dirty hands or dirty surfaces any more. Great service too and online help if required. Just got the big wipe attachment for my bott smart van racking. Easily accessible as soon as you open your van doors. I would recommend to anyone who has the bott smart van racking. Excellent products. Always have a tub in the van now as they remove everything! Great storage container with bracket. Just an all round ideal solution to cleaning up quickly. These are really good quality and have a good range of products. Great idea to have the van holder. Really helps keep the wipes container from been damaged. Great wipes. Not the cheapest but the best I’ve used. Handy for all cleaning...cleans the hands up good, great for removing silicone & grease. Strong wipes that last. Brilliant, we go through a lot of these. They are an essential for every van, office and store room. We are yet to find marks/substances that they cant remove. Excellent wipes. Manages to get everything cleaned off, a must for van stock. The wipes haven't teared on me and last a good while. A must have in the van for me they even get the grime clean from your hands when working on a sludgy heating system, great value for money. Brilliant wipes. Cleans everything off. Only put 3 starts for customer service because ive never had to contact them because there so good! Great product, gets all the stubborn dirt of a variety of surfaces. Cheap enough. Buy these regularly. Come in handy cleaning the van too! I have the big wipes with a van holder, it's helped me keep my big wipes in on place and have actually made me appreciate how good and helpful they are. Helping me keep cleaner and looking more professional while I'm at work. Great product, not much these won’t shift and the spray is great too ! Not the cheapest but the best on stains. Love these wipes! Never found anything that cleans as well as these, they work really good in every area of my job. Would never use anyone else’s. If you have an apprentice, you 100% need Big Wipes, they are perfect for cleaning their crubby little hands before they touch the inside of the van, perfect for a freshen up before the pub or a quote. Perfect to wipe down the van, and to keep the boiler case nice and white on hand over. Bought my first tub of these about twelve months ago and they are worth every penny. There is not much these wipes will not remove. I never leave home without them. Best wipes I've used to date, the clean and scrub ones are great for cleaning round after a job and also your hands. Smell good and come in big packs if you tent to get through a lot like me!....why does silicon manage to get everywhere! Well they do what they say on the package and that's what we as tradesman want. No flash gimiks no silly sales tactic just do what you are bought to do . I only use to clean my hands tools and what I have been working on (and any area got dirty in prosec) . They do the job and are longer lasting than most . Always keep a tub spare in my van, fantastic and clean up just about anything, if you use silicone these are a must as one sheet will clean any silicone off of your hands. These were the first wipes we used several years ago and one of the best. Great for moping up and removing mishaps that a sponge and soapy water won't touch. Good quality wipes, use on lots of jobs and hand cleaning, gel rear for removing silicone and paints from tools and hands. Can dry the hands if used too much. Cleans multitude of materials and leaves the job clean for the customer. Great wipes, strong and removes pretty much everything, essential for 2nd fix stage and great on removing silicone, Quite expensive be good if they done larger quantities. Must have in the van, cleans everything off your hands including the grease from the sds . The holder is great for easy access. I always have a tub or two on the van, wouldn’t be without them. They’re ideal for so many different tasks, from preparing your surfaces before starting work, quickly wiping down after a new install or sealing baths & sinks, to cleaning tools & hands at the end of a day and everything in-between. Big wipes are a must! Great wipes in a very handy container. Does what it says on the tin. Used these after knocking out a fire place for a stove fit and they work very well. Great wipes seem to clean most things, handy to have when you have dirty hands. The holder is great saves you having to search the van for them. These wipes are brilliant seem to be able to shift most things. Strong durable wipes, I’ve got the holder screwed up in the van also so keeps them ready for when I need them. Yep. Can’t be faulted, seem to clean up anything! Silicone, oily marks, putty from glass etc. Best value when merchants has them on offer! Used Big Wipes for years. Really versatile and great at cleaning. Usually go round a bathroom with them once I've finished. A good use us bedding a sink down with silicone, you can really rub and clean the excess off well with these. They do what they say on the tub. Great on hands and very useful on many surfaces around the house. The quality of the wipes is excellent with built in strength. Great wipe cleans off most stuff Quality is good don't tear on you Not badly priced Good customer service a few products in their range that are good. Good product. Removes pretty much anything. A must have on the van now. Should not be used as toilet roll! Great wipes, so many uses to clean tools paint and especially silicone off my hands as somehow it gets everywhere. So I whip out my big wipes and hey presto clean again. Always use these wipes, great product and work really well. Really good when finishing off bathrooms and having a good clean up. Mega wipes. Clean up a world of sins with ease. There strong and they smell ok too Ideal for scrubbing while frantically sweating if the stain will be removed from the Shag pile. The sweating was not needed because it got the stain out. Always have a tub of these handy, whatever I am doing, great for removing grease and flux, but best thing is when applying silicone, clean surfaces using wipes beforehand for best results. Great product would be lost without these especially while painting or when using silicone they are great for getting the tuffest stuff off. Good wipes but a bit on the pricey side. Can't comment on customer service as never felt with them. .
Definitely the best wipes on the market. Great for cleaning almost anything. Good value for money. Very unlikely that I'll ever need the customer services for this product. Not a bad wipe although quite dry and don't last very long in comparison with others I've used. Bought some of these at a show as the were being demonstrated and looked fantastic however when using them personally I found they weren't all that great and quite expensive compared to others but did the job in a fashion just a bit dry for my liking. Not much to be said about them really apart from these do what the should. Like the leather tubs as I have the holder in the van. I didn't think a hand wipe could clean your hands this well!! Only recently converted to them. Won't use others now. The standard yellow wipes are ok but i prefer the blue coarse wipes they do a bit dryer than some other brands but clean well nicer fragrance than some other brands too. Unsure of customer service so gave a 3. Good wipes, maybe a little dryer than other brands so hopefully they'll last & not dry up in the van! First used these wipes a few weeks ago and found them to be very good value for money. The red top ones are able to remove almost anything and retain the dirt so no transfer, will be keeping them on the van. Fantastic wipes. Always keep a tube of wipes in the van. Not just good for cleaning your hands but great for cleaning debris from tools. Great wipes and spray. Been using them for years with no issues. Good value for money for the quality you get. Fantastic for getting drops of sludge from carpets and pretty good at cleaning hands as well. Always keep some on the van. Great product! Wipes away most things, I would recommend them! Great value for money, best ones I've used! What a cracking product the wipes and the spray is couldn't recommend it highly. For how easy it is to wipe dirty marks of things and even to clean your hands before lunch which is a bug bonus for me. Hi I've scored product range at 3 as I wish I could get a van holder for these I hate every floating around in my van and loosing the top. Why not sell a 4 pack with a van holder .. ? Use these all the time now. Great for removing silicone, have the spray too. The hand cream is soothing. Best to look out for deals at various exhibitions across the country. Work really well to get spots of radiator sludge out of carpets if you're unlucky enough to get some. Have to have a tub of these when siliconing baths . They come with a lot of liquid so cleans silicone really well. Mastic, solvent, oil you name it this'll wipe it off in seconds. The van holder accessory is dead handy too. Brilliant wipes, very useful and great value for money. Used the big tubes, seem to last a long time and do the job. I asked for these to be added to Expert Trades so other people can benefit from them. Brilliant wipes - excellent for cleaning the dirtiest, oiliest, grimiest hands... And their hand moisturiser is excellent too. Great support via Twitter. Thoroughly recommend the company and the products.